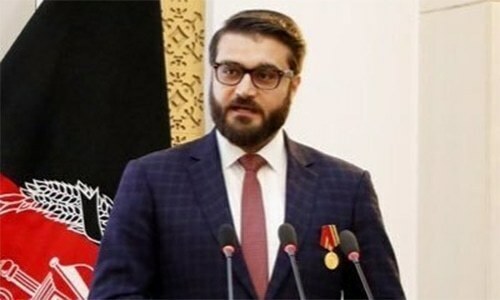 WASHINGTON: The United States has told Afghan President Ashraf Ghani that Washington will no longer deal with his national security advi­ser Hamdullah Mohib, the US and Afghan media reported on Tuesday. 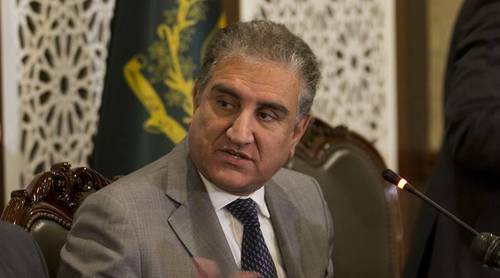 On Monday afternoon, US special envoy for Afghanistan Zalmay Khal­ilzad met Pakistan’s ambassador Asad Majeed Khan and told him that everyone will benefit from peace in Afghanistan. “Met with Pakistani and British Ambassadors to Washington. 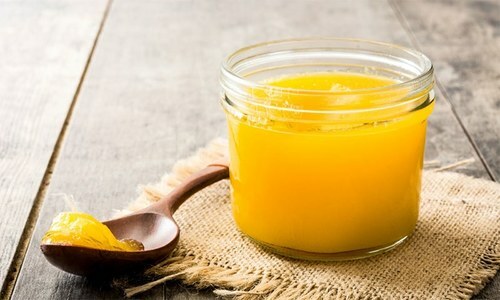 Whe­ther your perspective is regional or international, everyone benefits from the security and economic dividends an end to war in Afghanistan will bring,” he wrote in a tweet. Earlier on Tuesday, the Reuters news agency reported that on March 15, US Under Secretary of state for political affairs David Hale told President Ghani by phone that Mohib would no longer be received in Washington and that US civilian and military officials would not do business with him. “Mr Hale called President Ghani and told him that Mr Mohib is no longer welcome in DC. The US will not deal with him in Kabul or in DC anymore,” the report added. Other media reports claimed that the move was part of a US effort to pressure Ghani to fire Mr Mohib. 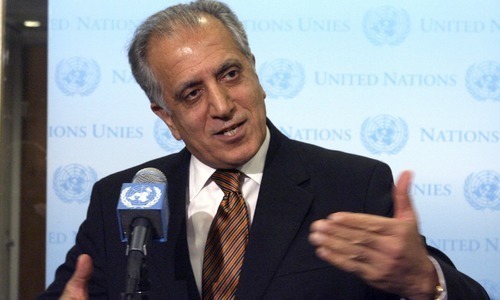 Mr Khalilzad, also a senior US diplomat, leads the US team in the talks with Taliban in Doha. 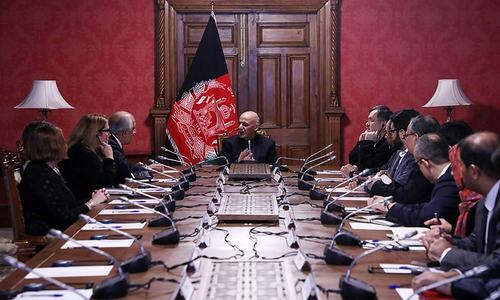 So far, the two sides have held five rounds of talks with the Taliban in Doha and Mr Khalilzad returned to Kabul late last week after the fifth round to brief US officials and representatives of other governments on the talks. But during the weekend, the Afghan NSA Mohib triggered a major controversy when he claimed that Mr Khalilzad had intentionally kept the Afghan government out of the talks because he wanted to be the next “viceroy” of Afghanistan. The statement annoyed the US State Department, which summoned Mr Mohib to protest. Because of the dispute, US National Security Adviser John Bolton also cancelled a meeting with Mr Mohib and he was told that he may not be issued a US visa for future visits, although he has an American wife. In earlier tweets, he said that in Washington he met “many friends of Afghanistan, including in the US government, Congress, think tanks, and the media. “I voiced our people’s legitimate concerns and made Afghanistan’s principled position clear,” he wrote. He also said that the Afghan people and government valued their partnership with the United States and were especially grateful for America’s generous support to Afghan armed forces. But he also cautioned Afghan politicians, particularly the Afghan presidential hopefuls, to “exercise restr­aint” and not end up on the wrong side of history. “The country will judge you on how you treat your own, not what you do for others. Patriotism above all,” he wrote. The joke that is Afghan government keeps getting funnier. A foregone conclusion when you start biting the hand that feeds you. Didn't he submit to the orders issued by the government in Washington?